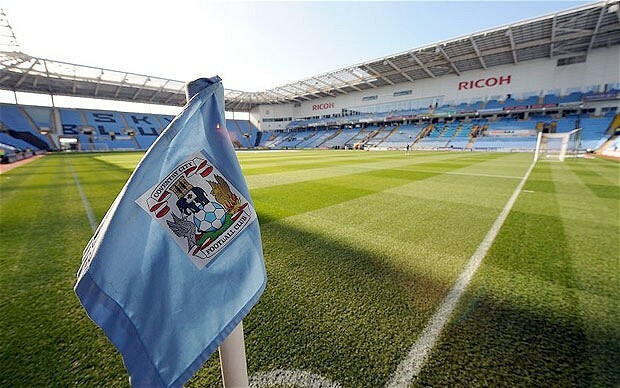 Coventry City Football Club owner’s Sisu Capital Limited have appealed against the decision by a High Court Judge to reject a judicial review of the council’s £14m taxpayer bailout of The Ricoh Arena. The news comes just hours before a number of City fans are to once again protest in London outside the Football League’s offices over their acceptance of City’s ground-share with League Two side Northampton Town at their home ground, Sixfields. A letter released by Coventry MP Bob Ainsworth further incensed fans last night. The High Court in London have confirmed that companies related to the Sky Blues have formally appealed the decision made last week by Mr. Justice Males. Mr. Justice Males ruled the application which was signed by Sisu boss Joy Seppala and in the name of Arvo Master Fund, Sky Blue Sports and Leisure Ltd and Coventry City Football Club (Holdings) Limited – should not proceed to a full judicial review. The Sisu companies had alleged the council’s purchase of part-council-owned Arena Coventry Limited’s mortgage debt in January for £14m was against European ‘state aid’ laws. It accused the council of creating “unfair competition”, and the council and ACL of seeking to unlawfully “wrest control” of the club away from Sisu companies. But the judge ruled the council had acted to prevent insolvency of ACL – after Sisu withheld more than £1m in rent payments for using the stadium. He concluded rent non-payment was “a means of exerting pressure in their commercial negotiations” with the council and ACL over Ricoh rent, revenues and ownership. The High Court today confirmed to the Coventry Telegraph the Sisu companies have lodged “renewal forms” to renew the application for a judicial review. It is effectively an appeal – which now triggers an oral hearing in which both sides will put their case to a High Court judge. The administrative court at the Royal Courts of Justice in London said no date had yet been set. A Coventry City Council spokesperson said: “We have always been confident we had a strong case, and we were delighted the high court judge Mr Justice Males rejected the application for Judicial Review at the earliest possible opportunity. « Why Coventry City’s home game against Carlisle United will be on a Thursday.